oooh .. i want that too captain ... just lucky we're married hey. 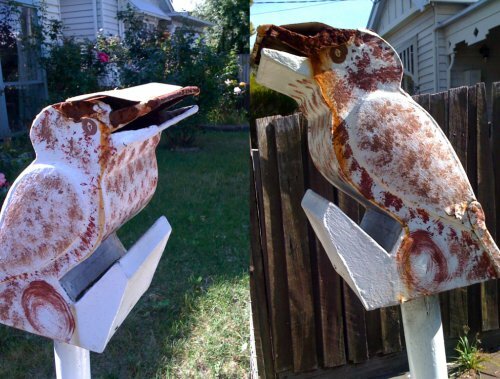 i'd find it hard to resist singing, 'kookaburra sits on the ol gum tree, merry merry king of the bush is he....' every time I pass this letterbox! Hey you just described my dream place too!! !